It was the night of April 14, 1912. The RMS Titanic sailed swiftly on the bitterly cold ocean waters heading unknowingly into the pages of history. At 11:40 p.m. on that fateful night, an iceberg scraped the ship's starboard side, showering the decks with ice and ripping open five watertight compartments. 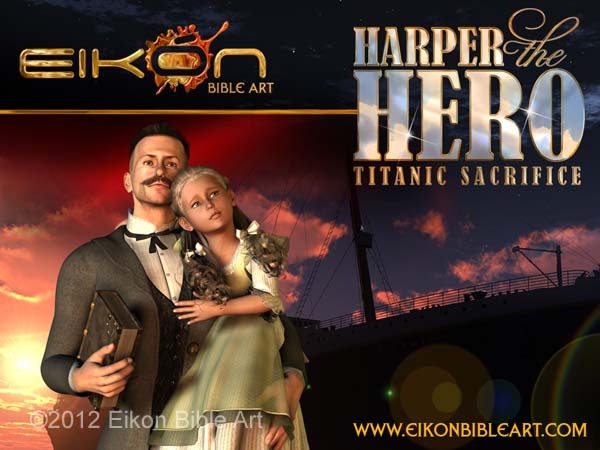 On board the ship that night was preacher John Harper and his much-loved six-year-old daughter Nana. As the flares lit up the dark sky, John Harper knew he must get Nana to the safety of a lifeboat before facing the ultimate sacrifice.